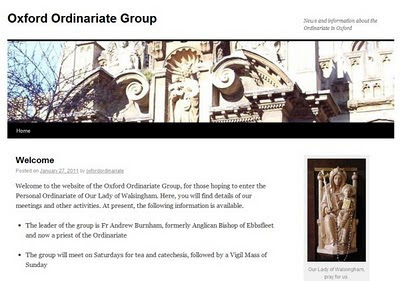 The Ordinariate Portal had some good news the other day: there is a new Oxford Ordinariate Group. The group is being led by Fr Andrew Burnham, formerly Anglican Bishop of Ebbsfleet and now a priest of the Ordinariate of Our Lady of Walsingham. They will meet on Sunday afternoons for tea and catechesis with the aim of being received into full communion with the Catholic Church in time for Easter.